Marian Anderson sang her way into American history. Her talent and grace broke down many racial barriers in the mid-20th century. 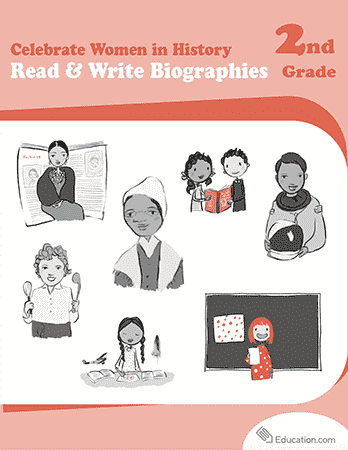 With this worksheet, history students can read her biography and develop her reading skills with a short exercise. Mary, Queen of Scots, was a fascinating woman in history. Learn a bit more about her life with this history worksheet. If your kid is crazy for castles and knights, have her read Eleanor's biography in this worksheet. Enhance her reading skills with a short comprehension quiz. Learn more about the history of dance, then make up some dances of your own, in this history of dance worksheet. Find out all about the history of fireworks in this history worksheet.